It took me way to long to finally pick up this book and read it. Once I picked it up, I couldn’t put it down. Memphis Wrestling fans know Teeny Jarrett as the lady who ran the show in Louisville, Evansville, Lexington, and spot towns for her son Jerry. Many of these stories have been told before, but here, Martin presents them in a narrative that is cinematic and compelling. In addition to telling the story of Teeny’s rise from ticket sales to powerful promoter, Martin pulls back the curtain on the Jarrett family drama in a way that is both touching and heartbreaking. He traces Teeny’s life from her poor upbringing with an alcoholic marriage, through an ill-fated marriage, to her troubled relationships with her siblings, and her struggles to hold her own children and grandchildren together. In the end, Martin gives wrestling fans a clear portrait of one of the most powerful women in the history of wrestling. Teeny Jarrett was a self-made millionaire who worked her way up through the ranks. She humbled everyone from Jack Pfefer to the Iron Sheik, with her signature move, a one-handed face clench known as “The Grip.” In an era when women’s wrestling has come to the fore and women are taking their place alongside men as modern day attractions, Teeny Jarrett’s story is an important and inspiring narrative that every wrestling fan needs to know. Brennon Martin set out to write one book to tell the story of his grandmother, Teeny Jarrett. I daresay he has a gift for this sort of thing, and I hope Teeny won’t be his last effort. Kudos to you, Brennon, for making your grandmother proud. 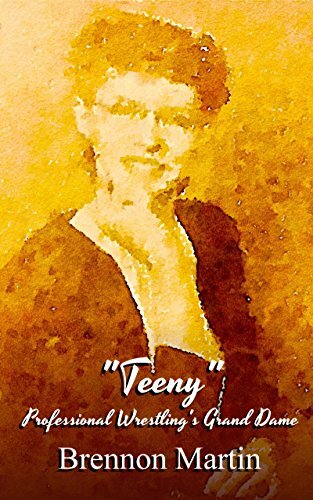 You can pick up your copy of Teeny on Amazon.com. Watch Elev8 Pro’s Darkness Falls for Free!